This week it’s Chris Britton who took part in the Atwells Martin Lettings Westonbirt Triathlon with us. “When I was 19 I was diagnosed with leukaemia, and underwent three years of chemotherapy, during which I had to have both of my hips replaced. After my treatment I was determined to live a normal life, so took up cycling as I was told not to do any running by my surgeon. 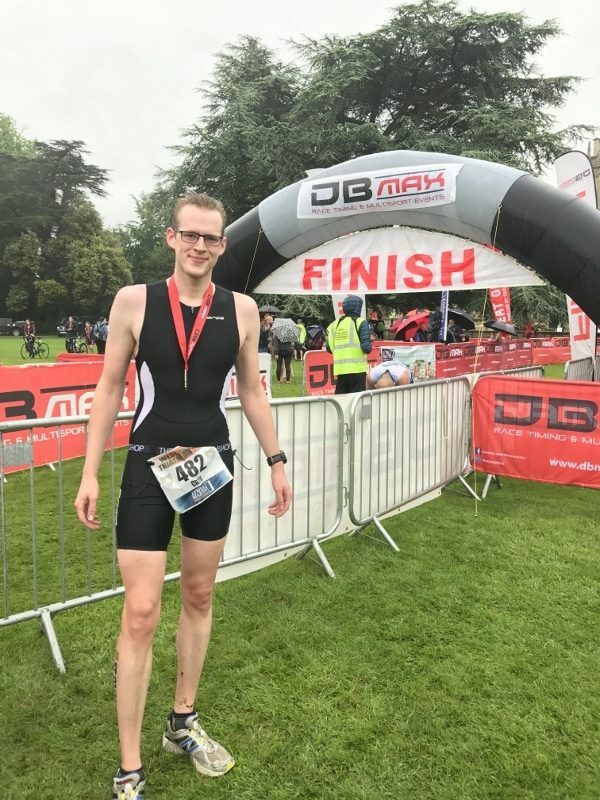 As a swimmer in my youth, and then becoming a regular at the DB Max TT Series, it was only natural that I would go for another DB Max event and enter a triathlon against the doctors recommendation – Westonbirt 2016 was my first ever triathlon, and somehow I finished in 25th place! I decided to enter again this year because it’s a great venue, flowing bike course and a friendly atmosphere. Unfortunately my knee and hip have been causing problems this year, so I haven’t done any run training.